O Lord, my strength, and my fortress, and my refuge in the day of affliction, the Gentiles shall come unto thee from the ends of the earth, and shall say, "Surely our fathers have inherited lies, vanity, and things wherein there is no profit. Shall a man make gods unto himself, and they are no gods?" It made me really happy. There are so many lies, false traditions, false assumptions and paradigms and world-views that we receive from the generations before us. I cheer for the Gentiles in these verses that have the courage to say "Wait a second...what I've learned doesn't make sense." And then they turn to God to find out the truth for themselves. I try to do that about everything I can, not just religious things, and I hope that everyone else does or would be willing to do it too. There are many people that simply inherit the ideas of a political party without ever critically thinking about it themselves (my pet peeve with Republicans and Immigration). There are many that inherit the disciplining patterns of their parents without ever evaluating its effectiveness or its morality. There are many people that inherit their values from society (yikes). There are many people that simply inherit all their knowledge from the public school system without ever filtering, examining, researching, or critically thinking about the things they are being taught. There are many that inherit a negative attitude and outlook on the world and everything in their life. Many people inherit a false idea about God that leads them to be angry and reject Him or even the idea of His existence. And of course there are many that inherit an unclear understanding of religion, and God's will for us in these days. Some of the things that we inherit are good and should be kept. I'm not advocating that everyone turn away from everything their parents, society, or the school system ever taught them. But each of us has the responsibility to think, and to pray, and to learn, and continually search for truth. I've found that for me personally, God is the source of truth, and so I know that I can always turn to Him, and He will help me find the truth about all different kinds of things. I don't often find answers immediately. Rather than just telling me the answers, He helps me know where to look for answers, and gives me reassurances in my heart when I have found something that's true, and feelings of yuckiness when something is definitely not true. Through His Holy Spirit I've learned so many things I wouldn't know otherwise. I also know that anyone can find truth, if they want it. Even if someone does not believe in God right now, if they are willing to explore and find out if He does exist, He will find a way to let them know. If they sincerely want to understand more about who He is, He will let them know. If they sincerely want to know what He wants them to do in this life, He will let them know. I testify He will help any honest, sincere seeker of the truth to find the truth. I hope we can all have the courage to break the chain or the cycle when we realize we've "inherited lies, vanity, and things wherein there is no profit." We can change, and though it might be hard at times, we'll find great joy in doing so. And our children will be grateful to inherit truth instead. I like to find the gospel in as many songs as I can. I absolutely love when I can back up lyrics with the words of the prophets. So that's what I did. "Where, ye must press forward with a steadfastness in Christ, having a perfect brightness of hope, and a love of God and of all men..."
But I testify to you in the name of the One who conquered death—Sunday will come. No matter our desperation, no matter our grief, Sunday will come. In this life or the next, Sunday will come. Elder Joseph B. Wirthlin, "Sunday Will Come"
"And to all who suffer—to all who feel discouraged, worried, or lonely—I say with love and deep concern for you, never give in. Embrace and rely upon the Hope of Israel, for the love of the Son of God pierces all darkness, softens all sorrow, and gladdens every heart." -President Dieter F. Uchtdorf, "The Infinite Power of Hope"
"No matter how bleak the chapter of our lives may look today, because of the life and sacrifice of Jesus Christ, we may hope and be assured that the ending of the book of our lives will exceed our grandest expectations." Heard this for the first time in my Music Therapy Methods class. The words come back to me when I'm having a hard time. And the more I listen to it the more I like it. =) It's awesome. And today, it's a good reminder. The praise of the world distorts everything, doesn't it? At least for me it often does. The praise of the world makes misery look better than happiness, as Moroni mentioned. There have been a lot of times in my life where I have a pretty good idea about what the right answer is, what I should do, but I hesitate or don't do it because I fear what other people think. I fear the praise of the world being withdrawn. I should be more concerned about the Spirit being withdrawn. Everything becomes confusing when I worry about what others will think, rather than what God knows. He has my best interests at heart, as well as the best interests of all those around me, and He will work things out perfectly if I will just trust and follow Him! I will make a renewed effort to not care whether the world is praising me or not. If God is happy with me, I don't care who else is. Check out this poem from my friend Gerry. I can relate with this a lot right now. God has definitely answered my prayers differently than I expected this year...but He's answering them. Nothing too big happened today. A portion of my energy was used up keeping myself from hyperventilating because next Wednesday I have what feels like a million really big projects due, and some of them I haven't started. Let it be known that I never plan to take 18 credits in one semester again. I have a place to live this summer, but no job yet. Trying not to get too stressed out about that. I'm really excited to have a private room though, once I move. It's gonna be awesome. It sounds so peaceful, does it not? This song is how I've felt for a couple days. It pretty much sums up a lot of my life pretty well. Cause I can't keep waiting to live"
Too many sunsets I haven't seen." "How far do I have to go to get to you? 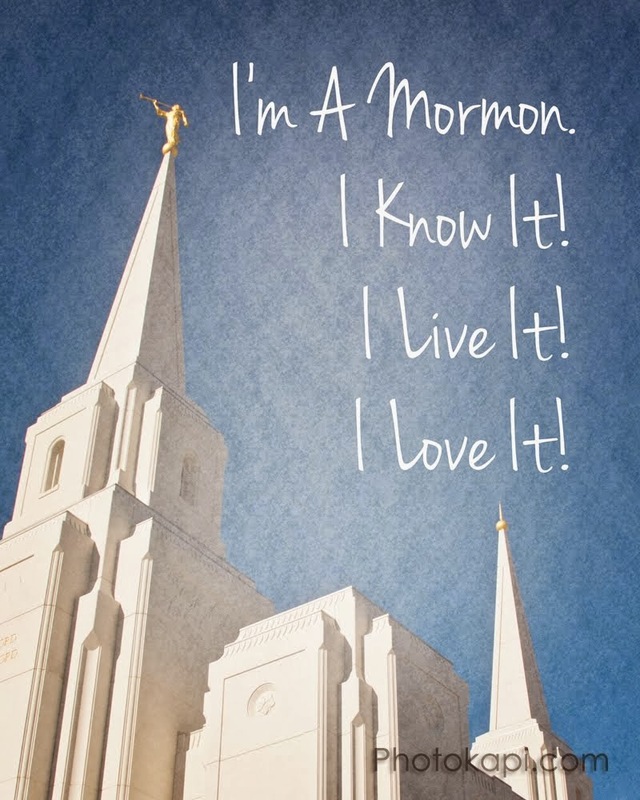 One theme that I heard over and over again in General Conference that I haven't heard anyone else talk about was the call to give more, financially. That initially sounds scary, but it wasn't. I felt peace about it. I heard, several times, a call to help the poor, and the missionaries, and anyone else in need. I found it interesting, because this summer will probably see me the poorest I've been since I graduated from high school. This will be the first break in school that I don't move home and work at the place that I did before, where they love me and pay me well and have always taken me back. I decided to live on my own this summer, and it might be pretty rough, paying rent, finding a job, buying my own groceries, and saving up enough to get me through the next school year. Paying my tithing has always been easy for me. But now I get to be tested. Will I still give, when I have next to nothing? I hope to be able to say that as long as I have something to give, I'll give it. I've learned a lot in the last couple days. There are some things I've started to "see the light" about. And they're probably too personal to share in detail with the entire world on a website. =) But I feel like a lot of it is represented in, among other things, the themes in the movie Tangled. Right before this scene, Rapunzel is telling Flynn she's afraid of her dream (of seeing the lanterns) not being everything she's expected it to be. And she's also afraid that it WILL be everything she expected, because what do you do then? And Flynn/Eugene says something like "You find another dream." For me, it's as if I got lost in the woods, and haven't even made it to the lanterns yet. But I will. I was too afraid of my "lanterns" not being as amazing as I was hoping they would be, so I stopped trying to find them. Or maybe I never left my tower. Well, enough of doing that! I'm going to find my lanterns, and they'll be just as awesome as I was expecting them to be, and once I've done that, I'll find a new dream. And there will always be enough dreams to chase. There's no end to the happiness that I can have if I want it, and if I'm willing to do what it takes to find it. I took a lot of pictures the weekend of General Conference. These are all at Temple Square, and are some of my favorites, out of all the ones I took. The bottom one is my beautiful parents. I was able to spend the Saturday morning session with them, in the Conference Center. It was a wonderful, peaceful experience. It does not matter the circumstances, trials, or challenges that might surround us; an understanding of the doctrine of Christ and His Atonement will be the source of our strength and peace—yes, brothers and sisters, that internal tranquility that is born of the Spirit and which the Lord gives to His faithful Saints. He nourishes us, saying: "Peace I leave with you. … Let not your heart be troubled, neither let it be afraid" (John14:27). I was really grateful to hear him quote the scripture that has become my theme in the last couple weeks. Jesus Christ really has been giving me peace. In fact, this morning I woke up with peace and hope and comforting reassurances. He's been blessing me so much. It has been a very challenging time of life, but Jesus Christ and His Atonement have been the source of my strength and peace. =) Friends help, but ultimately my peace comes from Christ. "Ask God for forgiveness. Seek forgiveness from those you have wronged. Forgive those who have wronged you. Forgive yourself." Elder Grow gave a great talk about the Atonement, and about how (with the exception of sins of perdition) every sin can be forgiven and overcome through the Atonement of Jesus Christ. It's never too late, in this life, turn back to God, and to change. I love that. The part that stuck out to me most was the part I quoted above. I have come, and am coming, to find out that forgiveness is freeing. Take care of it, then just let it go. God doesn't want us to beat ourselves or each other up about things that have happened. Take it to Him, do what He asks, and move on - believing that when He says you're forgiven, you are. Experience freedom. Forgive and be forgiven. Today I was just the right amount of busy. Well, maybe a little too busy, because there's one assignment I'll have to turn in late. But anyhow, I really liked the pacing of my day. I was busy all day, but not frantically so. I had a lot more purpose. Mostly because there were a lot of things due, and the end is drawing near on the other things that aren't due yet. Whether it was the purpose I felt, the music I played, the things I got done, the weather outside today (spring! ), or an answer to prayer, I don't know, but one way or another, I felt content today. "And that's a big deal for me..." =) I think it was all those things. Today was the "One Day Without Shoes" day, to raise awareness. Visit www.toms.com or www.onedaywithoutshoes.com to learn more. It was a pretty cold day, so I tried to cut through buildings as much as I could, to get my feet warm for a few seconds before braving the cold cement again. I was without shoes for a good portion of the day...but had to put them on to go to the store. The store was kind of a traumatic experience. Well, after the store. While at the store I decided to buy some water. You never know, there might come a time when our water supply is RADIOACTIVE, or possibly just bacterial, or maybe we have an earthquake and the water lines get broken. I felt like it would be really important to have some more drinking water storage. So I bought a 24 pack of water bottles. What I forgot was that I didn't have a car, or a ride back to my apartment. I had the bus. After I paid for my water and my other groceries, it finally dawned on me I had a slight problem. I could carry it all...but just barely. By the way, I also had my backpack, full of books (my decision to go to the grocery store was a sudden idea I had while studying at the library). Anyway, I hobbled out to the bus and got on. Then I missed my stop to get off, had to wait fifteen extra minutes for the bus to get back to that spot, then had to hobble back to my apartment (about a block)...in the rain. It was a rather miserable ten minutes or so. I tried to look at the bright side, thinking "maybe some kind gentleman will see this damsel in distress and offer me some assistance" but apparently USU is short on gentlemen outside when it's raining on no-shoe day. Sigh. On the bright side, I will survive when our water supply becomes radioactive, or there is a zombie apocalypse. Whichever comes first. The latter will most likely happen by the end of this week. "We testify to every nation, kindred, tongue, and people, that God not only lives, but that He speaks. That for our time and in our day the counsel you have heard [in General Conference] is under the direction of the Holy Spirit - the will of the Lord, the word of the Lord, the voice of the Lord, and the power of God unto salvation." "If we teach by the Spirit...and you listen by the Spirit, someone of us will touch on your circumstance, sending a personal little prophetic epistle just to you." "We offer our testimonies with other testimonies that will come - because one way or another, God will have His voice heard. 'I sent you out to testify and warn the people,' the Lord has said to His prophets. 'And after your testimony comes the testimony of earthquakes, of thunderings, lightnings and tempests, and the voice of the waves of the sea heaving themselves beyond their bounds, and angels shall cry with a loud voice, sounding the trump of God.' Now these mortal angels who have come to this pulpit, have each in his or her own way, sounded the trump of God. Every sermon given is always, by definition, both a testimony of love and a warning, even as nature herself will testify with love and a warning in the last days." General Conference is not something to take lightly. It's one of the biggest blessings available to us, as well as one of the most important and serious things we could ever pay attention to. It helps me be happy, and it provides immense safety - if I listen by the Spirit. I have a lot of studying to do - lots of feasting. So, just be prepared - I will probably be posting about it a lot. Every talk will definitely be read more than once (and likely posted about more than once). Not because that's the good thing to do, but because I need it, and I want it. =) One of the best ways I can show God I'm grateful that He's given us prophets is to listen to them and try to apply what they say. President Monson's Closing Remarks: More Thoughts! "May we be examples of honesty and integrity wherever we go and in whatever we do." This phrase stuck out to me. That is one of my main goals right now: to be honest. To be true to myself. To be honest with others. To be authentic. To not be a hypocrite. We talked about "authenticity" and being genuine, last week in Music Therapy Methods class. I think its extremely important! If we can not be authentic, even with ourselves, it will be hard to get anywhere in life. I don't want to be divided against myself in any way. When I change, I want all of me to come with me. Maybe that's one reason why I love the song "I'm Still Here" so much. The chorus cries out: "I want a moment to be real...and feel I belong." By being honest with myself, acting with integrity, and being genuine and authentic, I will be the real me, and eventually I'll find where I belong. As President Monson spoke of Christ, the Spirit testified to me that President Monson knows Jesus Christ. Of course, prophets aren't the only ones who can know Christ. Any of us can. The more faith in Him that we exercise the more we get to know Him. The pure in heart are promised they will see Him (Matthew 5:8). None of us are forbidden, and all of us are encouraged, to come unto Him and come to know Him. So even though President Monson isn't the only one who knows Christ, I know that he does know Jesus Christ. And in addition to knowing Christ, he has also been given the responsibility and authority to lead and guide Jesus Christ's church, under Jesus's direction. I'm so grateful Jesus has servants that He speaks through today. And I look forward to the day that He returns, and speaks to us Himself. In the meantime, I will be grateful that He speaks through His servants, and also through His Holy Spirit, directly to my heart.